Sadly, many creative people aren’t recognized in their field until they are six feet under. Of course, back in Plato’s day fame wasn’t such a big deal because it didn’t exist as it does today. In fact, before the Industrial Revolution authors were said to be doing well when they were simply recognized in their hometown for their creative abilities. It’s been only in the last few centuries that authors, artists, et al. have gained recognition, and even then, for many it was elusive during their lifetime. A few examples: Johann Sebastian Bach–mainly known as an organist, not a composer; Vincent Van Gogh, whose art had a vast influence in the 20th century, sold only two paintings while alive. It might surprise some that Henry David Thoreau and Emily Dickinson, giants of American literature, were obscure while alive. Interestingly, their lives were similar–both resided basically in solitude. As an adult, Dickinson barely left her room, and when she did, it was only to flutter around her family’s Massachusetts home dressed in white, looking like a ghost. Thoreau, on the other hand, didn’t find peace and isolation in his room, but in the woods. As for Thoreau, he didn’t become widely read until the 1900s long after his demise in 1862. Even though he found some success with Walden during his lifetime, only a small portion of it was published, and it wasn’t until after his death that he earned fame due to Henry Stephens Salt’s biography of him. Ironically, Thoreau’s political writings found little acclaim while he was alive, yet they later influenced leaders such as Mahatma Gandhi, John F. Kennedy, and Martin Luther King Jr., writers such as Marcel Proust, Sinclair Lewis, and architect Frank Lloyd Wright, just to name a few. Thoreau, an early advocate for conserving resources and preserving land, is more popular today than ever before. In a complex world, people are looking for simplicity and are drawn to Thoreau’s communion with nature and his belief that spirituality can be found there. A more recent example of unfound fame while living is John Kennedy Toole, whose two novels never saw the light of day until after he expired. His first novel, The Neon Bible, written at age sixteen—a bad adolescent sociological attack of the Calvinist mentality in Alabama and other Southern states during the 1950s, was only published after A Confederacy of Dunces was finally in print. Toole, suffering from depression due to his many rejections trying to get Dunces published, committed suicide in 1969. After his mother, Thelma, recovered from losing her son, she was determined to prove his talent and get the dusty manuscript published. For seven years she sent the picaresque novel, set in 1960s New Orleans, to publishers who kept rejecting it. Finally, she discovered philosophical novelist Walter Percy was teaching at Loyola University in the Crescent City. Thelma began plaguing him with phone calls and letters that went unheeded. One day she burst into Percy’s office throwing the manuscript on his desk and demanding he read it. Not having a choice, Percy finally gave in, figuring after he scanned a couple of paragraphs that would be the end of it. But once he started reading Dunces, he couldn’t put it down. So, eleven years after Toole’s death, Walter Percy finally helped Toole’s mother get the book published. It was first known as a cult classic, then went mainstream, and in 1981 won the Pulitzer Prize. Now, thirty-four years later, a play based on Toole’s book has been adapted by award-winning playwright Jeffrey Hatcher. The end of 2015, it was performed to rave reviews at Boston’s Huntington Theatre with Nick Offerman, better known as Ron Swanson in TV’s Parks and Recreation, portraying Ignatius J. Reilly, the eccentric slob extraordinaire. Another posthumous winner of the Pulitzer Prize was Sylvia Plath, who shortly after penning her only novel, The Bell Jar, was found with her head in an oven. During her life she experienced peaks and valleys of success. She published often and wrote prolifically, yet remained relatively in the shadows of the writing world. Only after her death, when The Collected Poems was published, thanks to husband and poet Ted Hughes, did Plath receive literary recognition. Unlike Plath, only a few of Franz Kafka’s short stories were published while he lived. Kafka worked for an insurance company by day and wrote furiously in German, the language he preferred to pen in, at night. 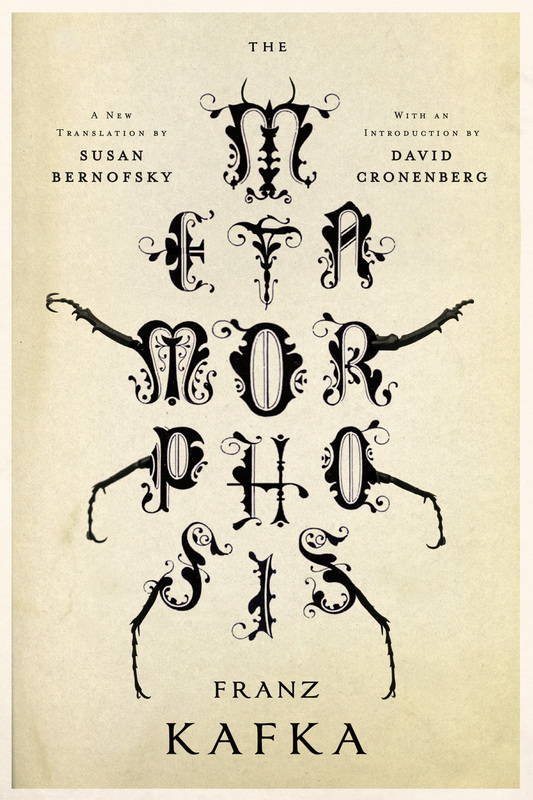 The Jewish Czech’s most popular and best-selling work was The Metamorphosis. But even it was known by only a small group of readers because Kafka was insecure and didn’t want his work seen. If it hadn’t been for his friend Max Bod, who went against Kafka’s orders to burn his manuscripts after death, the world would not have known the vibrant tales that were an influence on German literature or that would come to coin the English term “Kafkaesque.” In 1988, this man, who didn’t want anyone to see his writings, was probably rolling over in his grave because the highest price ever paid for a modern manuscript, up until that time, was his handwritten one of The Trial that sold for $1.98 million at auction. H.P. Lovecraft, another author who lacked confidence in his work only published in pulp magazines, such as Weird Tales, during his lifetime. Renowned for his horror and fantasy fiction, he and Edgar Allan Poe, whose The Raven was only well known for a brief time, are the pioneers of this popular genre. Stephen King states that Lovecraft is “the twentieth century’s greatest practitioner of the classic horror tale” and that Lovecraft was instrumental in his (King’s) fascination in writing macabre stories. Lovecraft’s writings have also inspired the likes of William S. Burroughs, Neil Gaiman, and film director, Guillermo Del Torro. 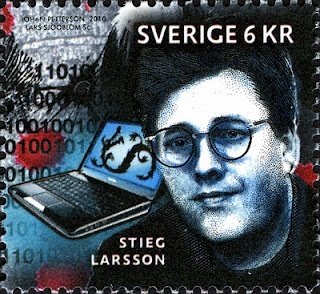 The previous authors mentioned were discovered for their talents long after they were deceased, but not so for Swedish author and journalist Stieg Larsson. He had written the Swedish Millennium trilogy, beginning with The Girl With The Dragon Tattoo, in the evenings for his own pleasure and had just decided to start trying to get the crime novels published before his untimely death. In 2005, a year after he succumbed to a sudden heart attack while climbing the stairs to his office, the first book of the trilogy came out. Larsson’s fame grew slowly, then gained momentum. In 2008, he became the second best-selling author ever and the first to sell more than a million books on Amazon. To date his trilogy has sold more than 80 million copies worldwide, plus movies, both Swedish (2009) and American (2011), have been made. The wing of fame may be fleeting for some, but for the authors mentioned above it wasn’t even briefly bestowed during their lifetime. Only after their demise did the limelight shine brightly with recognition of their talent. Today, their names are familiar, their words and works lasting and enjoyed by readers and students the world over. Now it’s your turn: Please share your thoughts on this post, or reflect on this question: What authors have you loved that have been overlooked by fame? 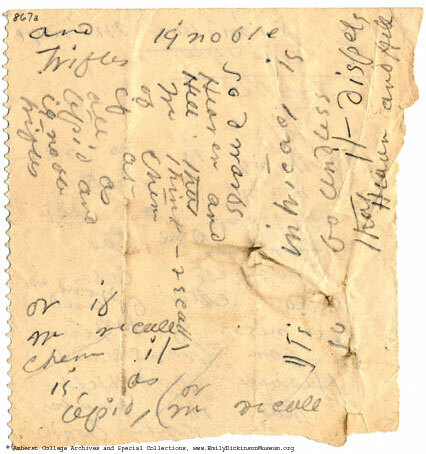 This entry was posted in The Story of Books, The Writing Life and tagged Changes Made to Emily Dickinson's Poetry after Her Death, Death Before Fame, Emily Dickinson and the Complicated Publication of Her Poems, John Kennedy Toole and Depression, John Kennedy Toole and His Posthumous Pulitzer Prize, Kafka and Insecurity, Kafka and Max Brod, Kafka's Importance to Modern Literature, Kafkaesque, Lovecraft's Influence on Stephen King, Stieg Larsson and His Posthumous Success with the Millennium trilogy, Sylvia Plath and Suicide, Ted Hughes' Role in the Publication of Plath's Poems, The 'Afterlife' of H.P. Lovecraft's Writing, The Influence of Thoreau's Civil Disobedience, The Influence of Thoreau's Walden, The Role John Kennedy Toole's Mother Played in His Posthumous Success. Bookmark the permalink. « How Many Charlies Fit into a World? Thanks, Sue. Very interesting. I remember when A Confederacy of Dunces first came out and that the author had died, but I didn’t know to what extraordinary lengths his mother went to carry out her son’s dream. So there is hope for those of us who are authors! 😉 Seriously, this was a fascinating piece, Sue. Like Christina, I did not know what effort it took to get A Confederacy of Dunces published. 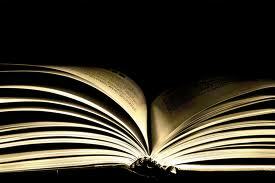 I would need to research, as you have done so thoroughly, to know if my favorite authors found acclaim during their lives. I love (hate?) 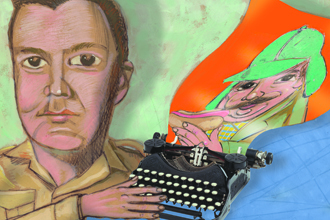 the story of John Kennedy Toole. There’s a statue of Ignatious on Canal, right near the French Quarter. He’s immortalized in a few places around town, and it’s always a great and tragic reminder of publishing that first novel. Thanks for the post! I didn’t realized there was a statue of Toole in New Orleans. I’ll have to check it out next time I’m there. By the way, thanks to all of your for enjoying my blog. Thanks for this, Sue. What strikes home to me hardest is this: poor Emily Dickinson is told that her work is “devoid of true poetical qualities,” her few published poems are heavily edited and altered (i.e., ruined) in order for it to be published, and then her biographer takes her to task 150 years later for her “failure to disseminate her work in a faithful and orderly manner.” Lemme at ‘im! Sheesh. Anne Frank, Jane Austen, and Zora Neale Hurston come to mind. And Kate, I too bristled at the tragic truth of Emily Dickinson’s history. Great post, s.h. montgomery. Makes me wonder how many other great literary works have been written and never discovered. Thanks, Deb, and yes those authors you mention are others that didn’t enjoy fame while alive. Of course, Anne Frank wasn’t anticipating it, but thankfully she recorded her story.